I know it’s been a while since last I wrote on my blog and for that I am very sorry; life happened, man. Well that’s a lie, mostly work happened. And as many of you know, staring at a computer for many hours a day (doing mostly powerpoint) makes you feel like you definitely don’t want to be typing up a storm on the computer when you get home (but Netflix and GChat are, of course, exceptions to the rule). My mind has just been a different place. 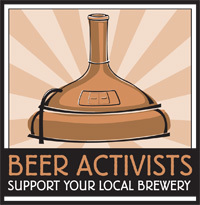 I have been tweeting though, so… if you don’t follow me on Twitter, you should: @beerspectacles. It will help you get that Beer Spectacles fix you’ve been missing. Anyway, enough of that. Down to business. This will be a quick “I told you so,” so don’t worry, you can read this in the 30 minutes you give yourself at your desk before you really sit down to “do work.” Like I did, finishing it off before I really started my day. As most of you may know, I really like Michael Agnew and his A Perfect Pint blog and efforts; he is really cool and does really cool stuff and has cool things to say. Every time I go to his blog I discover another juicy piece of beer news and yesterday was no exception (I mean I looked at it today and saw that the one of the founders of Flat Earth was let go in like April. April?! It’s May! WHAT AM I DOING?). Michael wrote a piece about a new Old Chicago in Eden Prairie that caught my attention: I started writing a post in January about it myself and I don’t feel bad in the least that he beat me to it. 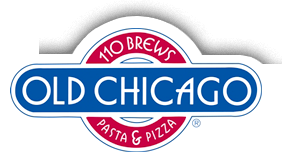 I mean, he actually went to the new Old Chicago, I did not; I still only go to the one in Uptown and love it (Although I haven’t been in a while). But his post is proof: Old Chicago is actually kind of cool. While I am not always a huge proponent of chain bars and restaurants, every time I’m in, at, or around an Old Chicago I’m reminded of the fact that, when picked up and turned around in the right direction like a wayward snail, they can find their way, and people will follow their trail of slime. Ok that was too much, but you see what I’m saying. Yes, Old Chicago has great drink specials. Did you see that they had pints of Surly for like $2.50 on some nights (I could be exaggerating, but that’s still a good deal)? And those mini pizzas?! Need I say more? … Sure. I also went there once with Mike and coworker for a sports game (football?) where we drank a lot of pints of Coors (hey, it was on special). Did I still like it? Yes. But Mike made the good point that behind the bar they have those special mugs that people who have drank so many beers in so many places have (something called like the Beer Tour.). Apparently this special mug thing is a cool old school tradition that they have in a lot of east coast bars (ooooooooooohhhhhhh east coast bars!!!!) that we’re missing around here. Sure the CC Club has its regulars, but none of them have their own mugs (that the CC Club knows of). That’s just baller. These regulars must have the right idea; I guarantee you they’re not drinking always Coors out of those mugs (or they might be, who knows) but my point still stands. This sort of loyalty exists for a reason, they support a quality establishment, which it seems to be, according to Michael’s article (or at least the one in Eden Prairie). It has a plethora of beers on tap (ok, it’s no Republic, but it’ll do), serves their beer the right way (not in frosted mugs, oh thank god. Now I don’t have to be a douche and scoff behind the server’s back about how it’s supposed to be served in a room temp glass), and is knowledgable about beer and more specifically, local beers and breweries. What else could you want? More of those little pizzas? Definitely. One of my friends pointedly told me the other day (I think pre-sports game outing at the Uptown Old Chicago) that according to an article he read, chain bars and restaurants have some of the best beer lists around (I think the example he used was Ruby Tuesday. What?) and I was in disbelief, almost anger, at his blatant lies. People don’t go there to drink cool local craft brews, they go there to be dicks and order a billion strawberry margaritas and drive themselves home (oh I went there). But I stand corrected. They are making a true and honest attempt to replicate the experience one would have at another of their favorite restaurants or bars while still having that chain vibe you know and love: that’s their look and feel, some would say. And I mean, if you’re just a regular dude and want to have a beer you also know and love (Coors) and maybe a beer you don’t (Lucid? ), if the staff can recommend one to you in a smart and sincere way, then by all means, go for it and work towards one of those cool mugs behind the bar. You deserve it. And Old Chicago deserves some recognition for helping to make craft beer more accessible (even though this image of all these beers in a row is from their website, and to be honest, a little bit off-message, if you know what I mean. Is that Smirnoff on the shelf too?! ).